Gaining access to an unnamed river in Wyoming. on staying legal and gaining access to land you may otherwise have skipped. Orvis receives a lot of letters and emails from customers who have a story to tell, but few of these writers capture the excitement of discovering fly fishing and the wonders of a journey to Alaska the way Emily Williams does. Just 14 years old, this high-school freshman from Princeton, Massachusetts, displays language and observational skills well beyond her years. And it seems she’s pretty good with that fly rod, too. Click “Read More” to enjoy Emily’s story. 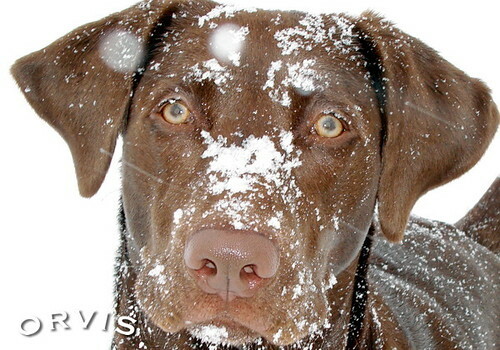 Orvis Dog of the Day – Kody Ganache! Enter the Orvis Cover Dog Photo contest for your chance to put your dog on a future cover of the The Orvis Dog Book catalog, win a $500 gift card from Orvis and help us beat canine cancer! Enter online at https://www.orvis.com/s/welcome-to-the-orvis-cover-dog-photo-contest/6335. In the first part of a four part series of the Double Barrel Podcast, Brett is joined in the studio by Mike Stewart from Wildrose Kennels. In this episode, learn the steps on how to find the puppy that will be right for you and your needs in the field. Mike has some great tips here on what to look for in researching your new gun dog. A couple of weeks ago I went bird hunting in Montana at the invitation of Dave Perkins. A gracious invitation to say the least, and one that offered up a most notable new experience. This was different. Standing on the ridge I looked across a sea of grass with mountain islands here and there, and the distance defined only by the last jagged range in the distance. I was hunting sharptails near Great Falls. Next-door neighbors are calculated in miles. It looks flat, but it’s not. It rolls and dips and rises like ocean swells and not until you get out of the truck and immerse yourself in it, do you discover the detail, the variations of terrain and vegetation, the places where sharptails find cover. Orvis Dogs of the Day- Milly, Maddie, and Piper! Enter the Orvis Cover Dog Photo contest for your chance to put your dog on a future cover of the The Orvis Dog Book catalog, win a $500 gift card from Orvis and help us beat canine cancer! Enter online at https://www.orvis.com/coverdog. fish-hatchery improvements to increased monitoring. Another $10.8 million was awarded to the Washington DFW to be used in Columbia Basin hatcheries. The Penobscot River provides the largest freshwater input into the Gulf of Maine, and there are important connections between sea-run fish and groundfish and other commercially important species in Penobscot Bay. In this episode TU President & CEO Chris Wood interviews Jeff Reardon about restoring the Penobscot River. Involving miles and miles of river and multiple dam removals, this is the largest project of its kind in history. We hope you enjoy this new feature of The Orvis Fly Fishing Guide Podcast. Let us know what you think on our Facebook wall at facebook.com/orvisflyfishing or by dropping us a line at podcast@orvis.com. Listen by clicking the play button below.